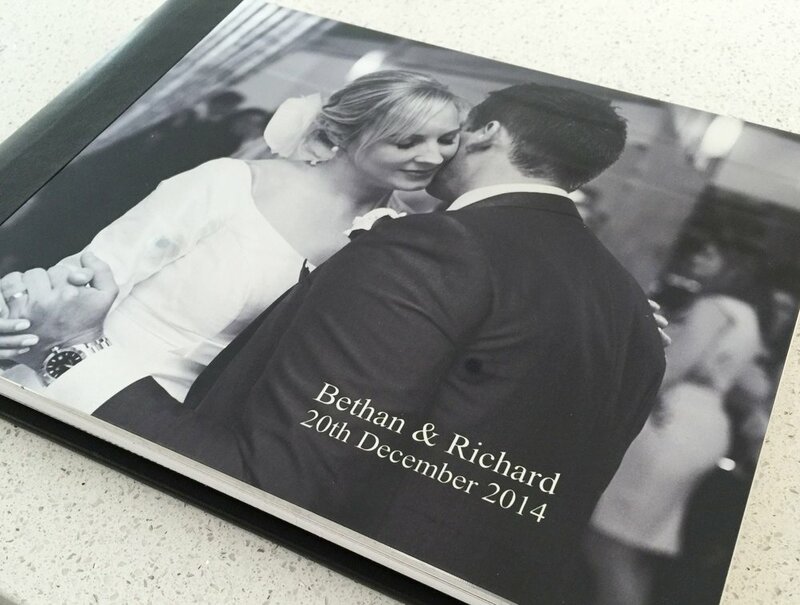 You can choose from our range of the finest quality wedding albums, or not to have an album at all if you prefer. You choose which photographs you would like to have included and we will put together a album design for you to approve before it is produced. Some of our packages also include parent albums and miniature copies which are slightly smaller versions of the albums but containing exactly the same page designs and produced to the same high standard. There are many possible choices of cover but the photo metallic is a firm favourite. 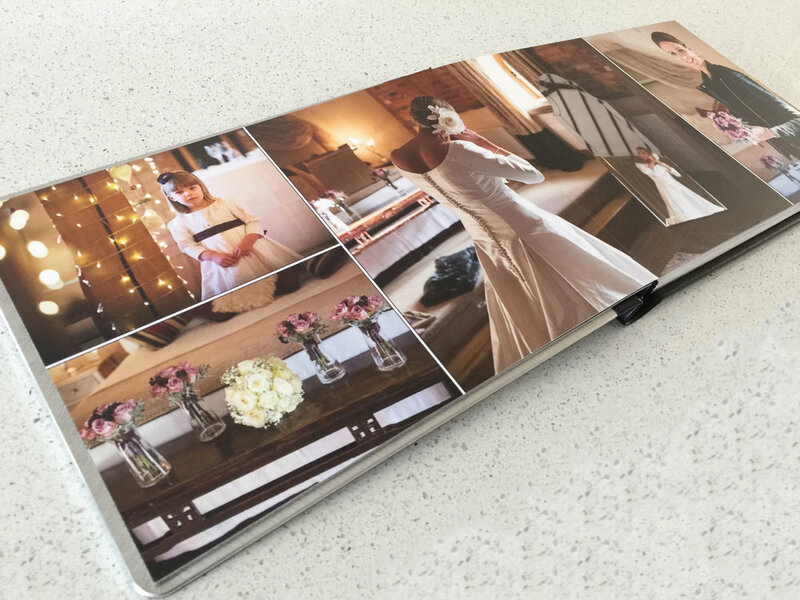 The most popular albums we produce are our story book albums, where your Images can be printed full spread completely across one or both pages in a style similar to a glossy magazine. Every design is individually produced to your requirements resulting in a unique bound book produced by our album partner in Italy. The cover can be one of a range of materials including many types of leather, silk, brushed metal and a modern clear acrylic, all which give that luxury feel to the album. The pages are high quality photographic paper bound to a thick card ensuring each page lays flat and panoramic images can be properly viewed across the spine of the book. As we are guided by your preferences, if you prefer to have images contained within a page and not crossing the spine of the book, we can of course produce a wonderful album for you in that style as well. At the top of our range and for the ultimate in luxury and quality our Elegance albums are some of the finest wedding albums available anywhere in the world. Each album is hand made using the finest materials by the prestigious Queensberry album maker based in New Zealand. Your images can be produced in a traditional matted style with each appearing through its own aperture in the page, or combined with edge to edge printing in a unique blend of traditional and contemporary styles. Your album is housed in a wonderful presentation box making it not only the album to die for, but also to treasure for ever. You are welcome to visit us in our studio near Camberley and have a chat about your day and look at some of the many albums we have available to view, possibly from your wedding venue. Call us now on 01276 683712 to book your free, no obligation appointment.